Hi everyone! Just a quick post today. I found this solo picture of Vapid Lacquer Surprise I’m Drunk, which I must have done back when I reviewed the Sweet Lacquer Nail Vinyls. At any rate, I present it to you today before we get to the weekly Beauty Blog Coalition roundup! 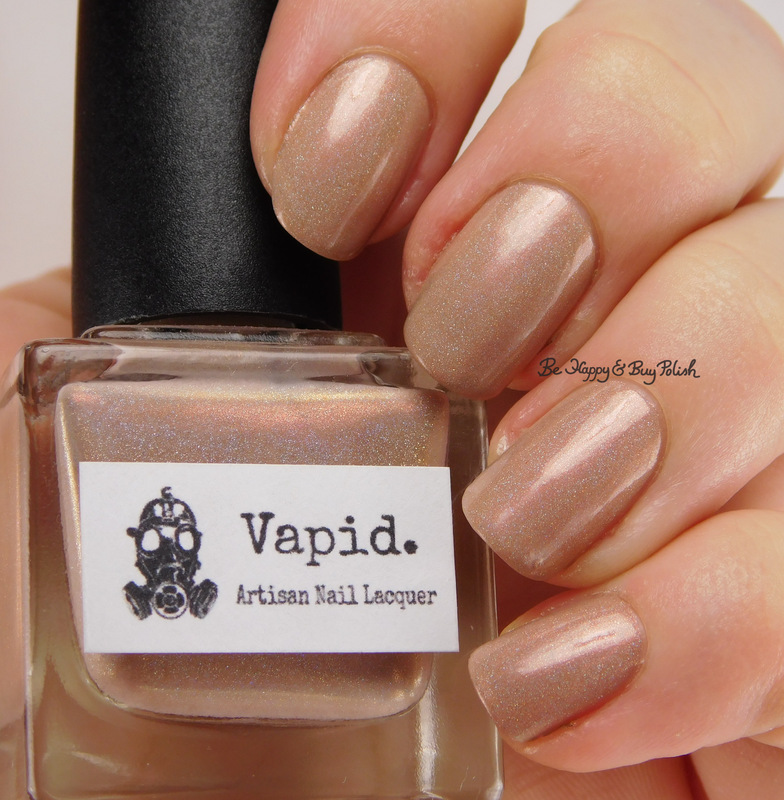 Vapid Lacquer Surprise I’m Drunk is a neutral holographic nail polish with a bit of rosy glow. This is 2 coats plus top coat. Great formula and coverage! This is currently available in the Vapid Lacquer shop. Lola’s Secret Beauty Blog: If you seek covet-worthy pink lips for the season, then look no further than TRUE Isaac Mizrahi! Color Me So Crazy: I am Loving my NEW Skin with Paula’s Choice… Let Me Know What YOU Think!! Makeup Obsessed Mom: Check out this month’s Sephora Play Box on Makeup Obsessed Mom.